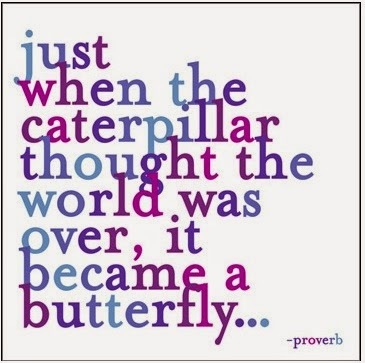 Are you in a place where you're about to become a butterfly? Don't give up. Perhaps you're only moments away from something that will completely change your life.